Welcome Back! Marie and I are back to talk about ALL THE CARBS!? We are constantly bombarded with messages telling us carbohydrates are good and then they are bad so Marie and I are here to save the day and help you understand what a carbohydrate is and what you SHOULD be eating! So put down your Special K and throw out your diet soda let’s dive in! 1. Answer to our Dietitian Joke: What do you do when a Dietitian knocks on your door? 2. Questions you have on carbs or other topics! Remember you can subscribe to my blog here and follow Marie here! Next week we tackle Protein! I think this video is intending to be positive but you see how many steps something has to get through to become HFCS… that’s not real or normal or healthy! And the “natural enzymes” they are putting in there? Where are they coming from? What are they? Marie’s thoughts: Sorry for saying exceptionally so many times. I need to utilize thesaurus.com more often. Author TeamNutritionGeniusPosted on October 3, 2014 November 5, 2014 Format AudioCategories Nutrition Genius RadioTags carbohydrates, dietitian, health, low carb, nutrition, podcast10 Comments on #3: All the Carbs!? If you looked at your email the other day I by accident leaked our podcast early, sorry for the spam! 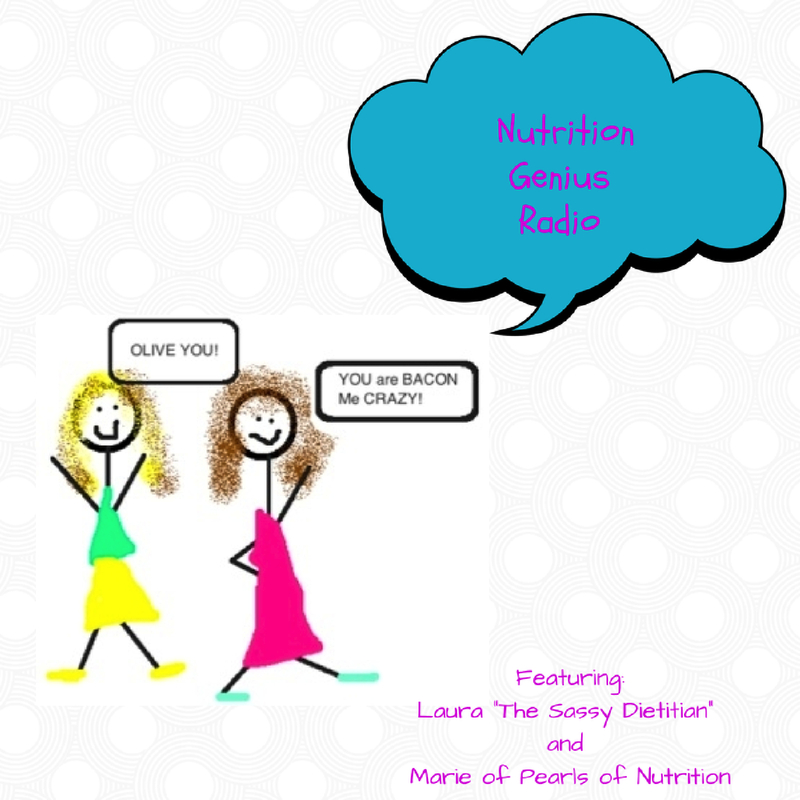 This time Marie of Pearls of Nutrition and I are releasing our first podcast! After much blood, sweat, tears and some MAJOR technical difficulties, we bring you Nutrition Genius Radio. We both LOVE nutrition and are complete nerds when it comes to all things food and fitness but at the same time we don’t take ourselves too seriously so while we are self proclaimed nutrition geniuses we know fair well that we do not know everything about nutrition (and we certainly know almost nothing about technical things.) This podcast is for you and we want to change your life one piece of pastured raised bacon at a time. We hope you love this as much as we do and if there are any topics you want covered leave us a comment and/or question below.